In honor of the upcoming World Communications Day, the Institute for Communication and Religion within the College of Communication and the Arts and University Libraries will discuss The Absence of Healthy Confrontation: Reflections on Pope Francis’ World Communications Day Message on Fake News on Wednesday, April 11th, from 12:30-1:30 p.m. in the 2nd floor Common Area of the Walsh Library. The program is part of the “Critical Issues in Information and Education” Speaker’s Series by University Libraries. The event is free and open to the University community. Light refreshments will be served. The event will feature Monsignor Dennis Mahon, Ph.D., coordinator for the Institute for Communication and Religion and associate professor of communication, and Dr. Ki Joo (KC) Choi, committee member for the Institute for Communication and Religion and chair of the Department of Religion, discussing remarks made by Pope Francis about fake news and the importance of truth during his World Communications Day message at the beginning of the year. 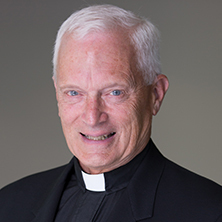 Monsignor Mahon brings to the conversation more than 40 years of experience as a communication faculty member and administrator at Seton Hall University, The Catholic University of America, and Catholic Community Services. After receiving his B.A. from Seton Hall University and S.T.B. from The Catholic University of America, he was ordained for the Archdiocese of Newark. He later went on to earn his M.A. from Fairfield University and Ph.D. from Syracuse University. 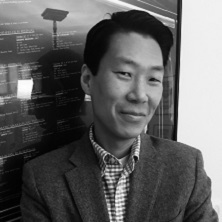 Dr Choi, an associate professor of religion, is an ethicist, specializing in Catholic and Protestant moral theology, political theory/ethics, and the political morality of race and ethnicity. His teaching areas also include the ethics of war and peace and the relationship between science (evolutionary theory) and theological ethics. He earned his B.A. and a M.Div. from Yale and his Ph.D. from Boston College. The University Libraries’ Speaker’s Series, “Critical Issues in Information and Education,” focuses on the intersection of educational and informational issues. Its inaugural event on issues of mass communication featured John Berry III, former editor-in-chief of Library Journal, on misinformation and Dr. Christopher Tienken, associate professor of education administration at the University, on the false narrative surrounding the current educational testing regime and educational standardization. Its second program, Discursive and Demographic Dysfunction, Or, Why It Is So Hard To Decide What The Facts Are, included Rutgers University Professors Marie Radford, Library and Information Sciences, on narratives of information seeking and Julia Sass Rubin, School of Planning and Public Policy, on legal challenges to academic inquiry. The discussion is the Institute’s latest initiative. The Institute recently hosted curriculum development workshops, cosponsored Ethically Speaking, and its inaugural event, Speaking Truth: Religion in the News Media, featuring The Wall Street Journal Columnist William McGurn, took place in Fall 2017. A large-scale, interreligious event featuring award-winning religion journalist David Gibson is also scheduled for April 24.